According to recent studies, almost 70% of Indian families have multiple cell phones. 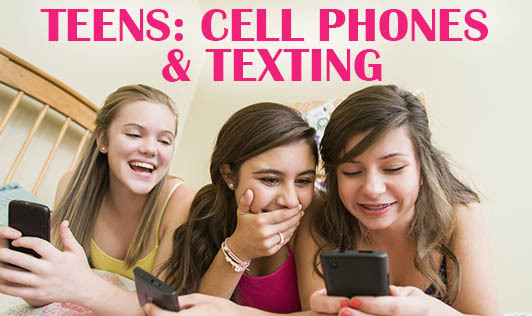 Kids are more attracted to cell phones and teens also own one by 14 years. When such is the trend, it becomes extremely essential for the parents to have solid ground rules as precautionary measures, so as to avoid misuse. There is no ‘right age’ to get your child a cell phone as it is solely dependent on the circumstances. It can be made kid appropriate by making only a few numbers available or provide the phone for emergencies only. Cell phones with parental control for internet access, calls, and text messages can be purchased. Keep a tab on your child’s call and text record to make sure he/she is not speaking to someone you don’t know or don’t approve of. Teach your child a few basic cell phone etiquettes like speaking softly in a public place and turning it off when it is ringing in a public place to avoid disturbance. Having constant access to communication can be distracting especially during study hours. Avoid cell phone usage during this time. There are possible health risks with the use of cell phones. The radio frequency used by cell phones may cause brain cancer. Therefore is it best to have a fixed time for cell phone usage for your child. Teens and kids consider having a cell phone a privilege. It may be a privilege but not a right. Therefore, talk to your child about the risks and responsibilities involved while using a cell phone and help them follow it.